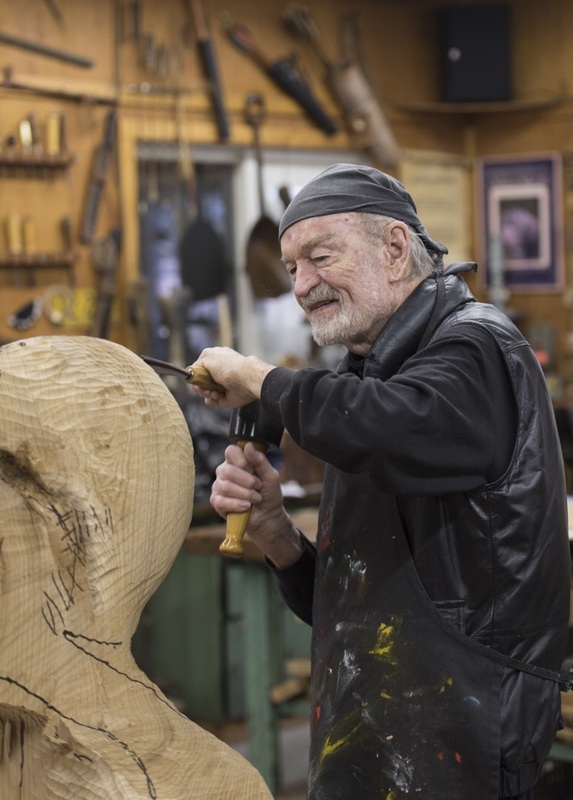 For 68 years, David Hostetler’s reputation as a celebrated sculptor has grown exponentially. His works appear in over twenty-five museums and galleries, including the Museum of Fine Arts in Boston, Massachusetts, Grounds for Sculpture in Hamilton, New Jersey, and the DeCordova Museum in Lincoln, Massachusetts. Hostetler’s pieces grace numerous public collections from New Mexico to Nantucket to the Netherlands, and have been featured in films, on television, and in newspapers and magazines. “The Duo”, Hostetler’s most visible installation, located at Trump International Hotel and Tower is a 13-foot outdoor sculpture in NYC. The city is also home to IKON, a 13 foot bronze, commissioned by The Sheffield located in a pocket park on West 57th Street. Hostetler’s unique treatment of the feminine form has earned him wide acclaim. Most of his “women” begin as single logs, which he carves by hand into sculpture. These woodcarvings form the basis for cast bronzes. In the 1960s Hostetler rose to national prominence with his “American Woman” series of sculptures. Born in Beach City, Ohio and raised in Massillon, Ohio, David Hostetler’s Amish grandfather profoundly influenced him both personally and artistically. After serving in World War II, Hostetler went on to receive his Bachelor of Arts from Indiana University. He obtained his Masters of Fine Arts at Ohio University. Hostetler served Ohio University as a teacher and mentor for 38 years, achieving Professor Emeritus. His students include a number of accomplished artists, such as Jim Dine.